Our show today is in honor of the beloved poet C. D. Wright, who unexpectedly passed away recently. We were fortunate to spend time with her just a few months back at the Center for Documentary Studies where she read from her book “One With Others” which received a National Book Critic Circle Award. C. D., born in the Ozark mountains of Arkansas, was a professor of literary arts at Brown University. She is a recipient of a MacArthur fellowship, a past poet laureate of Rhode Island, an author of over a dozen books—among so much more. The New York Times wrote: “Her work—characterized by linguistic experimentation, stylistic innovation and an ever shifting thematic canvas—was rooted in her southern heritage yet, at the same time utterly beyond category.” Like C. D. herself. We interviewed C. D. in 2009 as part of a story we produced for our Hidden World of Girls series on NPR–and like with all of our stories—there are hours and hours of tape behind every minute of what you hear in the final piece. So today we’re going to play our original story—a story of family, crime and the power of art to grapple with the unimaginable—and then we’re going to let it roll. To hear C. D. read from her work, and talk about life, poetry and her longtime collaboration with Deborah Luster. 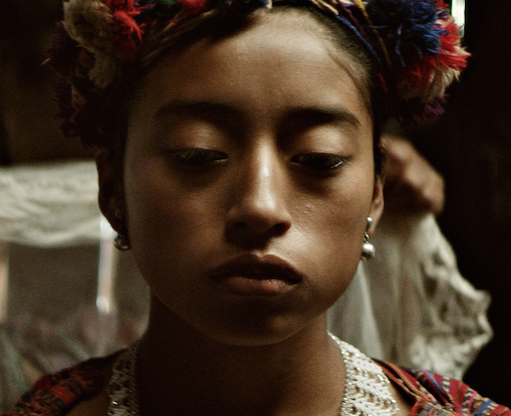 A story of family, crime and the power of art to grapple with some of society’s hardest issues. “My mom… It’s hard to talk about your mom. She was very glamorous but she never put on any airs. There was no saditty with her. She was infected with that southern ancestor worship thing, all into the arts of dress and manners and home and the table, conversation and story telling. She was a shutterbug. On April 1, April Fools Day, 1988, Deborah’s mother was murdered in her bed by a contract killer who came in through her kitchen window, down her hall and shot her five times in the head. Deborah believed she had seen the man at one time so she reasoned that he might be after her as well. For seven years she lived in terror until they arrested the man and he was tried and convicted. They have never, however, caught the person who hired her mother’s killer. “Perhaps I was channeling my ancestors in the years following the deaths of my mother and grandmother. Perhaps it was their spirits that moved me to pick up a camera—for in our family, the camera was manned by women. It was my turn. Or perhaps I picked up the camera out of desperation. I did need a tool. I was buried under the loss of my family members. The world was a sinister one. I was awake and numb and frightened. How could I sleep under the same stars as my mother’s murderer? I used the camera to dig out. I found that I was still capable of making contact”. Deborah had moved to Monroe in northern Louisiana. In 1998 she was sent out with other photographers by The Louisiana Endowment for the Humanities to photograph in the region in support of an empowerment zone application for the state’s very impoverished. On a Sunday afternoon Deborah knocked on the gates of a small prison on the banks of the Tensas River. The warden came out and she asked if she might photograph some of the inmates there. He said yes. Deborah got entrance to the women’s prison in St. Gabriel, the minimum security male prison in Transylvania and Angola Maximum Security prison in Louisiana. She teamed up with her long time collaborator, C.D. Wright and the two began working together on the project. For the most part, the inmates posed themselves. They might want to hold something like a box of valentine candy or a family photo. One woman wanted to hold her shoe. At Angola, Deborah photographed prisoners in the cotton fields where they still pick cotton by hand. While Deborah photographed, CD Wright would interview and observe. One poem she wrote was inspired by overheard conversations on the field line—an entry level job at Angola State Penitentiary where prison farm laborers make about eight cents an hour. The photographs are done on aluminum photographic plates reminiscent of tintypes. The aluminum is treated with gelatin silver as you would treat a canvas with gesso before you paint on it. Deborah makes paper copies of the aluminum plates for the prisoners. They are not allowed to have sharp metal objects. The photographs are small, only a little larger than a postcard. “I wanted to preserve the intimacy of these very formal photographs,” Deborah said. At Angola where 90 percent of the men that go there, die there, it was very sober. There was no clowning around. It was a very formal. The way they would pose themselves was very sort of nineteenth century. “For the most part they presented themselves as they wanted to be presented, looking out,” said CD Wright. It as was all voluntary. She returned a portion of the funds that she received from selling the plates which are on aluminum to the prisoners fund. With which they buy popcorn and books and undershirts and personal items. Deborah made prints for each person she photographed. She returned 25,000 prints to inmates. We have been thinking about this girls series for a long time, even while we were in the middle of the Hidden Kitchens project. One of our central methods is to say everything out loud, tell everyone we know and don’t know about what it is we’re working on and looking for. We have a good nose for stories, but sometimes the people we know have an even better one. This story, “Deborah Luster: One Big Self” came to us because one night writer Michael Ondaatje and his wife, writer Linda Spalding were asking what new story we were working on. We described a new project we were just beginning to imagine about the secret life of girls around the world. Michael jumped in, “One Big Self. You have to see it. You have to know about Deborah Luster and her photographs and her collaboration with her C.D. Wright, the poet. They call it “One Big Self.” He told us Deborah’s story and we were mesmerized. Poet CD Wright was a long-time friend and colleague of Deborah Luster who collaborated with her on One Big Self. Here are some excerpts from her interview. Can you talk about your collaboration with Deborah Luster? Deborah and I met at the University of Arkansas. I was a teaching assistant and she was a senior undergraduate, so we’ve known each other for some time. We have similar sensibilities, the same kind of edgy sense of humor and the same sort of political orientation. And we have complimentary aesthetics. We’ve worked on several projects together. Both photographers and poets are used to working in solitude so it’s sometimes testing to try to work out certain visions, but our visions are actually very compatible. This project was initiated by Deborah who is working out a long term relationship to violence which began with her mother’s murder. She’s trying to include every point of view. This is a very sympathetic project for someone who is a survivor of such a violent act. The decision from the beginning was to photograph inmates in their whole selves, their better selves. What significance do you feel these photographs had for the inmates? In the maximum security prison, the mirrors are stainless steel, so there’s a kind of warp—your reflection is not that clear. So many of these inmates don’t see themselves for years at a stretch, they don’t see the real delineation of their faces. And time passes. I think that many of them are not aware of the details of their physical changes. 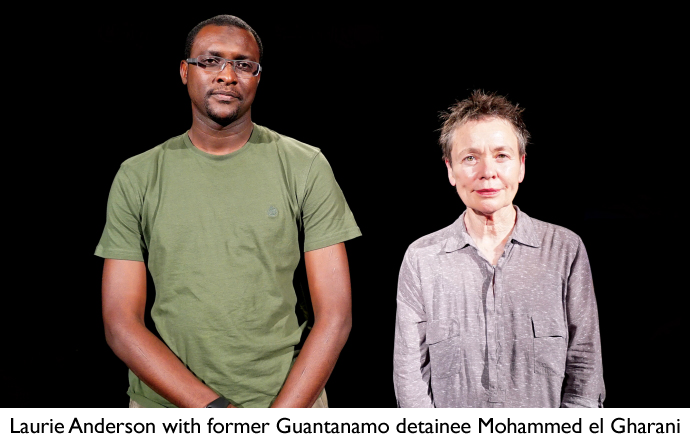 The last photograph for many of these prisoners is their mug shot. In Deborah’s photos prisoners presented themselves as they wanted to be presented, looking out. Dressed in costume, holding up a sign, a photo or something they cared about. Family portraiture, is a big tradition in the south, so these photographs were another opportunity to be included in that tradition. It was important that they were posed and dignified pictures. We tried very hard not to idealize people there; most of them were not there for spitting on the sidewalk, they had done really bad things. Most of them had brought some harm of some kind to somebody else. Screw up today, and it’s solitary, Sister Woman, the padded dress with the food log to gnaw on. This is where you enter the eye of the far. The air is foul. The dirt is gumbo. Avoid all physical contact. Come nightfall the bugs will carry you off. I don’t have a clue, do I? One Big Self was produced by The Kitchen Sisters, Davia Nelson and Nikki Silva in collaboration with Nathan Dalton and mixed by Jim McKee. We’d like to thank our dear friends and sisters in collaboration – C.D. Wright and Deborah Luster. We’d also like to thank Jack Woody of Twelve Trees press, Michael Ondaatje and Linda Spalding for leading us to this story, Randy Fertel for his generous heart and support, and the National Endowment for the Humanities and the National Endowment for the arts for their support of Hidden World of Girls. C.D. Wright’s latest book is a collection of essays published in January 2016. It’s called The Poet, the Lion, Talking Pictures, El Farolito, A Wedding in St. Roch, the Big Box Store, the Warp in the Mirror, Spring, Midnights, Fire & All. 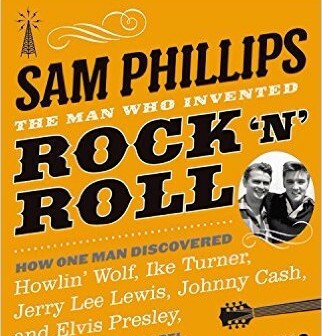 Published by Copper Canyon Press. 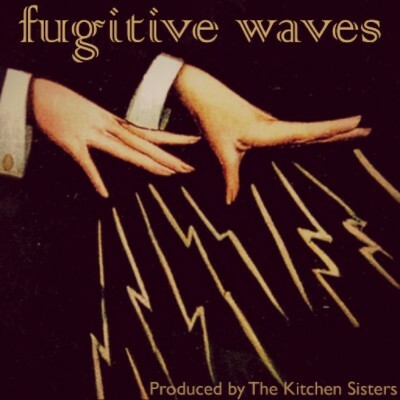 Fugitive Waves is produced by The Kitchen Sisters with Nathan Dalton and Brandi Howell. We’re part of Radiotopia from PRX – a collective of the best story-driven, creative cutting edge radio shows on earth. From all of us at Radiotopia, many thanks for listening, sharing these programs with your friends and supporting this new experiment in supporting storytelling. We’d like to thank the many of you who have donated to Radiotopia and The Kitchens Sisters, especially designer and illustrator Jez Burrows, whose most recent project Dictionary Stories is a collection of very short stories entirely composed from example sentences from the dictionary. Find it at dictionarystories.com. The New York Times wrote: “Her work—characterized by linguistic experimentation, stylistic innovation and an ever shifting thematic canvas—was rooted in her southern heritage yet, at the same time utterly beyond category.” Like C.D. herself. Sometimes we find the story. Sometimes the story finds us. Here are some projects, events, and collaborations our friends and colleagues are taking on that we want you to know about. Prison Yoga Project: A volunteer-run Hatha Yoga Program in San Quentin working towards restorative justice. Indiegogo. 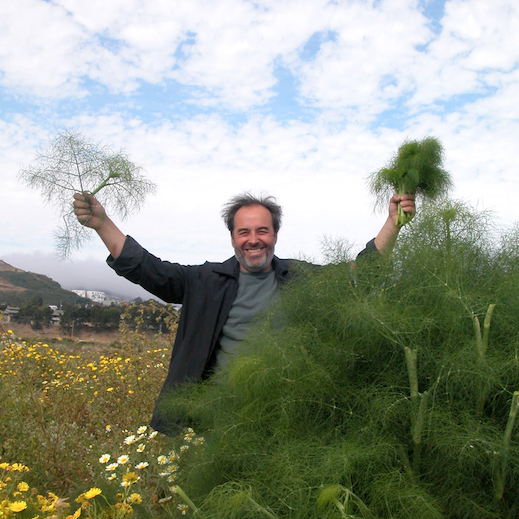 Omnivore Salt Limone: Forger and Forager Angelo Garro introduces another small Sicilian miracle. Kickstarter. Feed Your People: Big Batch cooking for your community. Kickstarter. Suffragette, directed by Sarah Gavron, with Carey Mulligan & Meryl Streep. The story of the women’s voting rights movement in England. 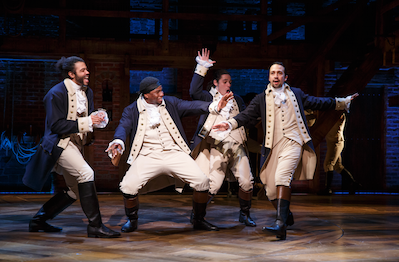 “Hamilton” the cast recording of the Broadway musical, on NPR Music’s First Listen. 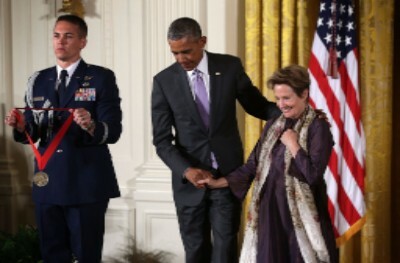 Alice Waters receives the National Humanities Medal from President Obama along with Larry McMurtry, Annie Dillard, Jhumpa Lahiri, and others.